By: IU Debate's top open team finishes in the top 16 at this year's major national Kentucky Tournament. A first for the program and a repetition of the prior tournament's 17th placing. Cameron and Harry are likely to be ranked in the top 20 in the nation. Historic weekend and placement for the Hoosiers at this year’s major national Kentucky College debate tournament! Indiana’s own Harry Aaronson (COAS, CARI) and Cameron Dehmlow Dunne (SPEA, CARI) finished preliminary debates as the overall 16th top seed after achieving a six win & two loss record. The duo bested notable programs from Georgetown, Minnesota, Northwestern, and Kansas in the prelims. 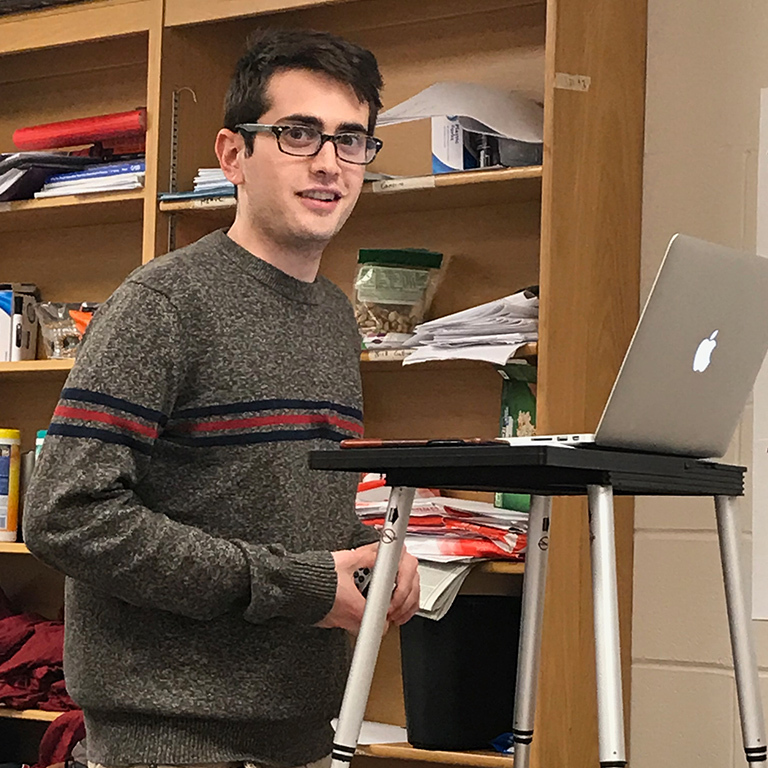 In Monday’s first single elimination debate, Cam and Harry defeated Northwestern on a universal 3-0 decision to advance to the “sweet sixteen” where they faced the eventual tournament winner Kentucky. The two put up a valiant fight, taking the panel of three judges to decision time but ultimately dropping on a close 2-1. Kentucky walked away with the 1st place trophy winning 23 out of 25 total ballots. An astounding feet. The Hoosiers however accounted for one of two lost ballots, a moral victory. This is the first time IU debate has reached the “sweet sixteen” at a major national tournament in the entire history of the University’s debate program. A testament to the contemporary program’s work ethic. Harry and Cam’s run at Kentucky follows a 17th seeded finish at the Georgia State tournament the week prior. Likely (unofficially) placing our top Hoosier team within the rankings of the top 20 teams in the nation. The freshman-sophomore team of Roland Duncombe/Mehul Gupta finished with three wins. Victoria Lincourt/Olivia Little also ended the tournament with two. The two new to open teams showed improvement both in wins and speaker placements from the prior tournament. Drew Bagan and Matthew Bricker brought home hardware with a successful junior varsity run to semi-finals, finishing with a 2-1 loss against Wake Forest. Layke Vinson, sophomore, partnering with a debater from Michigan, finished the weekend as the top novice speaker as well as the 2nd place trophy in novice. The team travelled 20 undergraduates and graduate students to the tournament. Kaelie Randolph, Richard Liu, Angel Hernandez, Janet Oluwayomi, Noah Davidson, Max Sandefer, Curran Mann, and Payton Holland put in great work this weekend! We’re optimistic about the prospect of future debate success with this new team! The Indiana University Debate Team is a collective sponsorship program of The School of Public and Environmental Affairs, The College of Arts and Sciences, and the School of Global and International Studies.